A genteel celebration of culture, the FMA Annual Presentation of Debutantes and their Escorts is also a reflection of the accomplishments of these young Filipino women and their arrival into adult society, done with elegance and formality. For the young women, it is a moment never to be forgotten. For the young men, it is a memorable participation in a coming of age celebration in the cultural tradition of the Filipinos reflecting a part of their heritage from Spain. For additional information and to order your dinner tickets, please send an email to filminn@gmail.com. Please bring your family to celebrate Christmas festivities -- Filipino-style! There will be a Talent Show, Nativity Scene, Manuhan, Christmas Carols, Santa, Pabitin, Raffle, and free Filipino lunch at 2pm! There will be vendors selling Filipino food as well as non-food vendors for your Christmas shopping! Parents, please bring wrapped and labeled gifts for your kids. Santa will be handing them out to your kids! 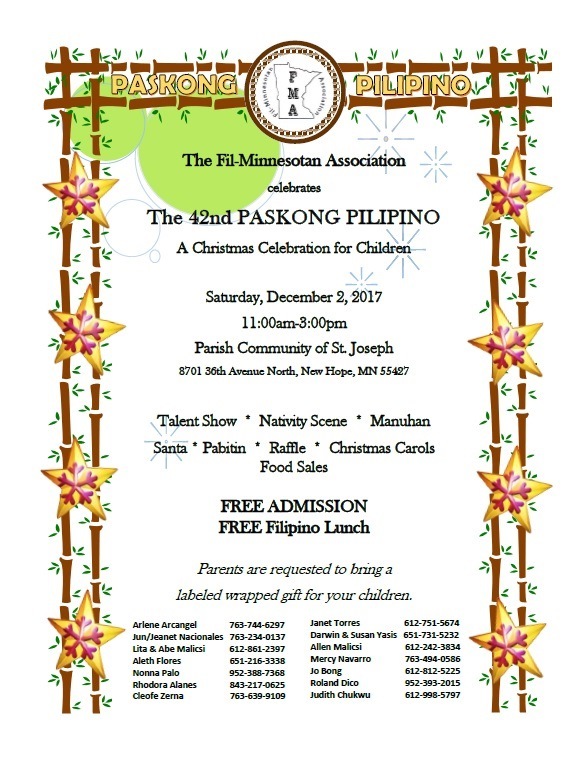 Free events like Paskong Pilipino are made possible by donations to Fil-Minnesotan Association. 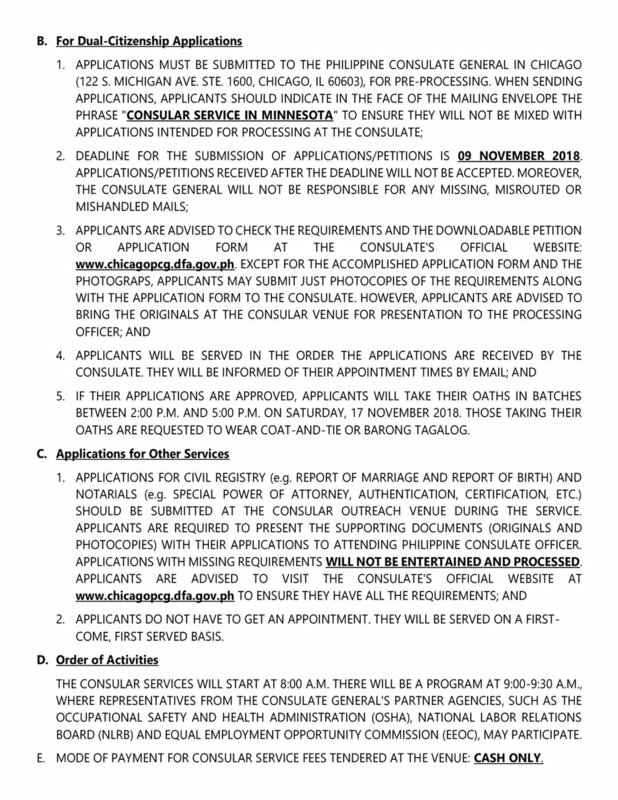 FMA is a 501(c)3 Non-Profit Organization, which means your donation is fully tax deductible. Please click the link below to donate. Thank you for donating and supporting your Filipino Community! 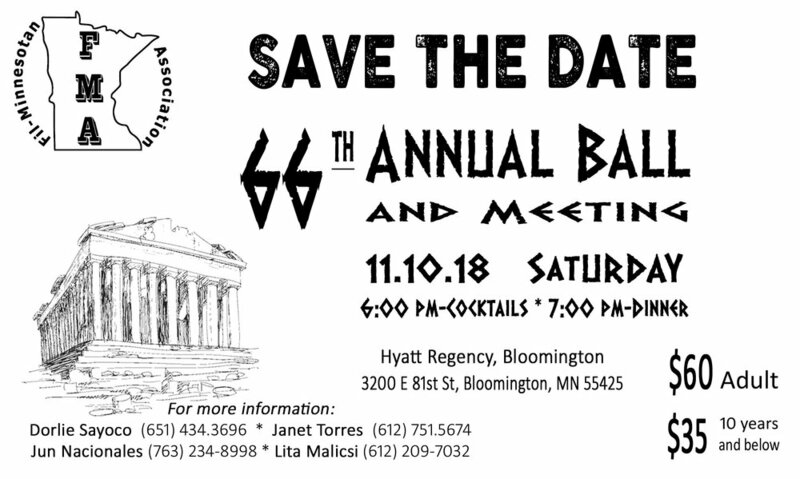 The FMA Annual Meeting and Dinner Dance is a gathering each fall where FMA shares information about the state of the organization, including its calendar of activities and financial reporting. This year, the Election of Executive Officers and Board Members will also take place. Please join us for our Annual Klasika Grand Finale at the Philippine Center of MN on October 22, 2017 from 2:00-4:00pm. Please join us in "TED" style presentations covering women in the arts and public policy. There will be refreshments and Filipino food served and audience members will be able to have an informal question and answer period with the presenters. Join us for our Annual Golf Tournament as we raise funds for FMA's Global Outreach Programs. Proceeds for the event will go toward providing meals for kids, medical supplies to rural hospitals, and other projects. FMA Family Service Outreach is requesting your attendance to join us in packing meals to feed malnourished children in 70 countries including the Philippines. Put on a pair of spandex shorts and a loose-fitting top and head over to our first ever Music and 'Q (as in BBQ) 'Fest. Eat your fill of different kinds of Pinoy Grilled Foods, then find a patch of grass to veg out and watch the musical talents brought to you by the FMA. Please join us for a “TED” style presentation where we’ll hear from passionate speakers covering a variety of topics ranging from the arts, sciences, to history, and business. Refreshments will be served following the presentations and audience members will have an opportunity to participate in an informal question and answer session with our panelists. Join us for a night of dinner, dance, and colorful homage to the Philippines society's precolonial nobility. 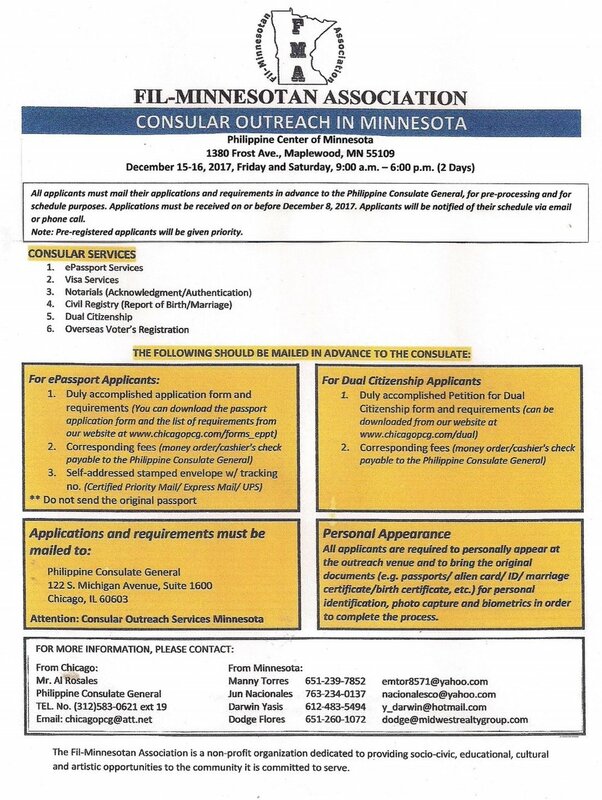 The Filipino community in Minnesota is incredibly generous. Many people regularly give their time and talents to support causes near and dear to our hearts. With that in mind, we at FMA are asking for 90 volunteers for only two hours to help pack meals for children in need around the world, including the Philippines.